Dogs, surprisingly, retain physiological and genetic similarity to humans. Dogs and humans also share a common environment and suffer from the same diseases, such as cancer. In many cases, studying dog cancer can lead to advances in the treatment of human cancer. Take for example the Golden Retriever, with a lifetime risk of lymphoma in the United States of 1:8. Veterinary researchers collaborated and struck “research gold” when they found a deletion in a canine chromosome in a high percentage of Golden Retrievers with B cell lymphoma. The same deletion was found less often in other breeds with lymphoma. Because genetic abnormalities in human cancers are difficult to pinpoint, studies such as this one help to identify genetic abnormalities to target in future human studies of lymphoma. A newer study employed a virtual rearrangement of chromosomes from Golden Retrievers and other breeds to match the distribution of genes on human chromosomes and identified human chromosomes 8 and 21 as areas for further study to advance knowledge and treatment of human lymphoma. Osteosarcoma, the most common bone tumor in both humans and dogs, is a devastating disease. Only 20% of children with osteosarcoma live more than five years and for dogs the number is lower: only 20% of dogs survive more than two years. The similarities of the disease between humans and dogs makes osteosarcoma an important disease to study. Already studies in dogs have contributed to advances in limb-sparing surgeries and improved chemotherapy protocols in children and dogs. As with lymphoma, veterinary researchers collaborate to study dogs with osteosarcoma because dogs’ more narrow genetic diversity when compared to humans makes identification of genetic abnormalities a bit simpler. In one study, genes associated with cell proliferation, drug resistance, and metastasis were found to be turned on at a higher rate in dogs succumbing to osteosarcoma early, compared to dogs enjoying a longer cancer free life. Genetic mutations driving tumor proliferation are often similar in human and canine cancers. Another collaborative veterinary research group investigated the similarities between human and canine genes in osteosarcoma. 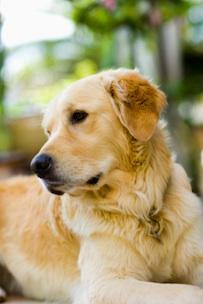 First, dogs of breeds like Rottweilers and Golden Retrievers that are at high risk for osteosarcoma were studied. Tumor samples were analyzed to identify what genes were turned on in the tumors. This analysis divided the dogs into two groups and, based on the turned on genes, found a marked difference in outcome between the two groups. When the same genes in children with osteosarcoma were analyzed, again two groups with marked differences in outcome were identified. Now researchers can focus on turning off the genes and developing drugs to block the genes’ effects.